K9 Mobile Dog Grooming offer the following services to our clients in Melbourne's Eastern Suburbs. With years of experience providing a mobile dog grooming service and dog walking service in Melbourne, you can count on Paul and the team at K9 Mobile Dog Grooming to turn up and deliver a professional mobile dog grooming service in Melbourne's East. Because we are experienced and have been delivering mobile dog grooming services for years - we are also confident and capable to professionally handle your dog through the grooming process - so they enjoy it and are handled with care throughout the wash and groom process. Dog Clipping Styles - There are three full clipping styles available. This is our easy care clip. 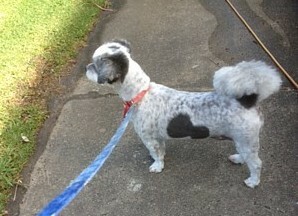 Your pet will be clipped the same length all over. The coat length can range from super short to 20 mm. This can include a stylised head / tail to capture his character. This is the most popular choice, the result being an easy-to-care-for clipped body, with stylised /scissored legs, head and tail that will capture the character of your pet. Even with our pet trims we aim for breed standard, ie Westies have a practical style but still look like the breed. We can groom to breed standards using a variety of grooming techniques. It is recommended that these pets attend grooming on a regular basis (approx. every 4 weeks) alternating with a bath & tidy groom. Dog is warm hand washed in a hydro bath using good quality shampoo specifically for your dog’s skin and coat type. The dog is then thoroughly dried with a high velocity dryer, nails are clipped and ears cleaned. This is additional to the Wash & Polish. This carding technique is especially good for short coated breeds such as Jack Russells and Beagles which continuously lose hair. This program can reduce shedding by 60-80% for about 4-6 weeks. If done monthly, improved results are shown after a couple of treatments. Great for getting puppies used to grooming or between full grooms. Trimming of face, feet and hygiene area only. Full body trims need a bath. Bath, brush & tidying of face, pads and hygiene areas shaved only, nails cut and ears cleaned. Bathed, pads & hygiene areas shaved, feathers & legs trimmed, nails clipped, and ears cleaned. 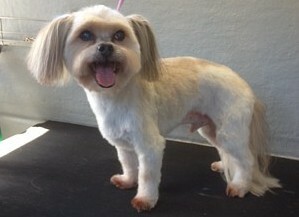 Groom and bathed as above but includes complete brush out and removal of all loose undercoat. 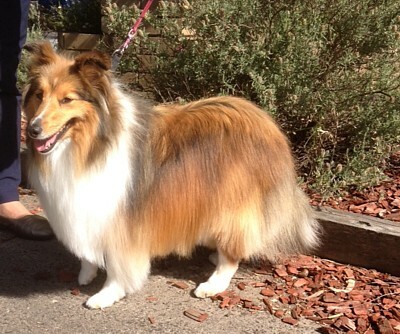 Specifically for long haired, double coated breeds such as Pomeranians, Shelties etc. For long haired double coated breeds such as Golden Retrievers, Collies, Cavaliers, etc. Combines the two grooms above. Please note prices start at $70.00 and will vary according to how much time is required and the condition of the dog’s coat. Please call to discuss and we'll provide you with an approximate cost. 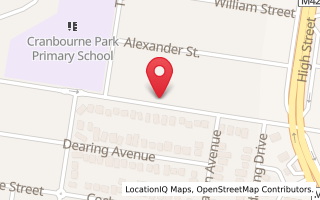 Our dog grooming and clipping service covers Cranbourne and service areas including: Baxter, Bontanic Ridge, Clyde, Devon Meadows, Doveton, Frankston, Hallam, Hampton Park, Junction Village, Langwarrin, Lynbrook, Narre Warren.